More and more blacks, today, appear to HATE Asians, Hispanics, Jews and, of course, Whites (AP DOESN’T MENTION RISE IN HATE CRIMES AGAINST WHITES). So Blacks should have their own state, by all means. But wait a minute, how are Farrakhan’s Muslims going to get along with all those bible-thumping “infidels/Satans”, as any devout Islamist would refer to a Christian? Things could get ugly rather quickly, with all that bible and Koran dogma being pandered day and night. This new ‘state’ would most likely mirror the middle east; where religion is the weapon of choice for ‘the chosen’ of their particular HATE-FILLED, genocidal god. This kind of blind, HATE-FILLED, “I’m-a-victim” idiocy is another blatant example of THE HERD MENTALITY, in all of its completely dumbed-down, racist-bigoted polity/religiosity (Oncoming Racial Doom: The Clash of Cultures). We are nano-spec creatures who exist on a nano-spec planet, in a nano-spec galaxy (one of billions upon billions throughout the universe). And yet we arrogantly, and in great error, believe we have everything figured out, including how the universe came into existence. And it is this ‘scientific’/religious megalomania (the herd-mentality: Nobel Laureate in Physics; ‘Global Warming is Pseudoscience’) that has brought us to the pathetic state we find ourselves in today. 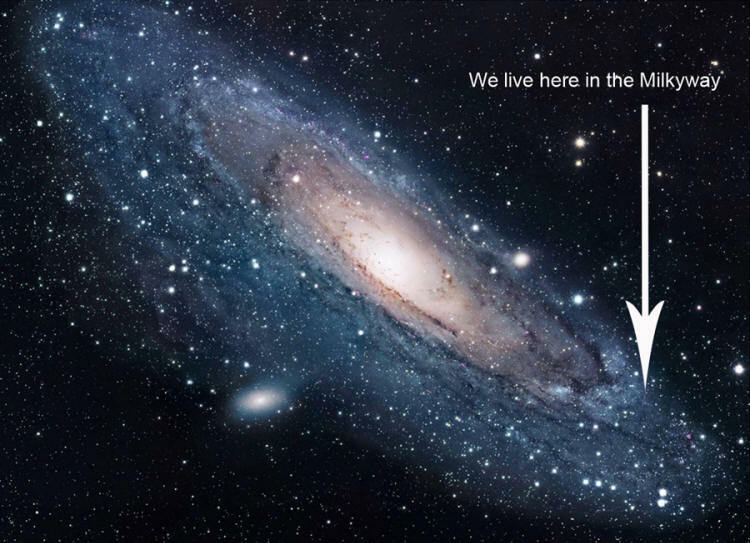 In comparison to the vastness of the universe (the intelligently-designed creation), we two-legged nano-specs can barely wipe our own asses properly. But this mindless herd-mentality, which we have been programmed to conform to since childhood, continually convinces the vast majority of us that we (as a herd) are much greater than what we truly are: “The Chosen of god!” and “The whole is greater than the sum of its parts” psycho-babble, just to name two, are seeking the complete destruction of the unique, imaginative and creative individual. The truth is, the individual has always been greater than any so called ‘whole’, whether the ‘whole’ be some form of religiosity or pure, unadulterated psycho-babble. The individual came first, not the collective (the herd), without the individual, there would have been no so called ‘civilization’. The loss of our individuality, our individual uniqueness, imagination and creativity, is why we are in this hell on earth today: corporate owned and controlled ‘science’ and the-holier-than-thou-chosen will be the doom of humanity, if nothing is done to stop this insanity. So, for all of you card-carrying herd-members out there, take a long close look at just how utterly minuscule, in comparison to the rest of the intelligently-designed creation, our planet and we two-legged nano-specs truly are. January 31, 2019 “Information Clearing House” – This excerpt from Sagan’s book Pale Blue Dot was inspired by an image taken, at Sagan’s suggestion, by Voyager 1 on February 14, 1990.